We are are proud to collaborate with Equinox's in house design team. 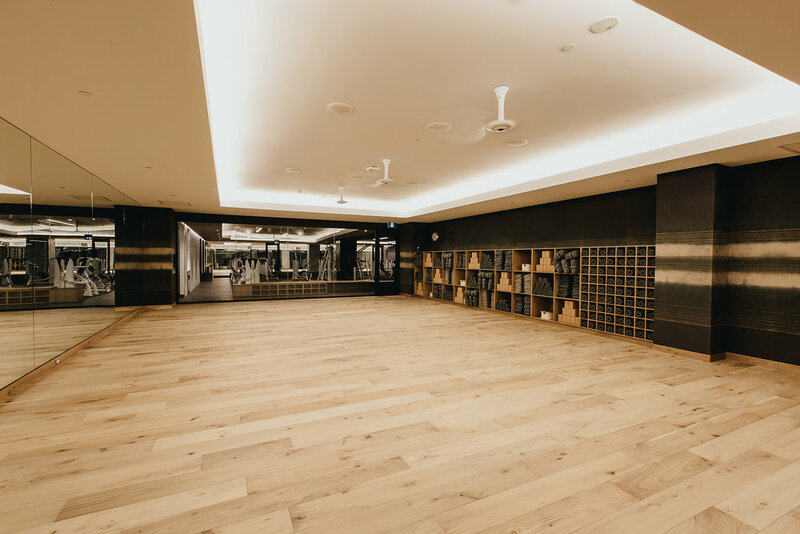 For their fitness club in Vancouver, BC they chose American Black Walnut. We worked with them to create this beautiful custom finish for both the floors and walls through a series of desaturation and white washing steps. The results have just the feel that they were looking for.